What’s with all these animals in the workplace? Answer: No one here plays Farmville? 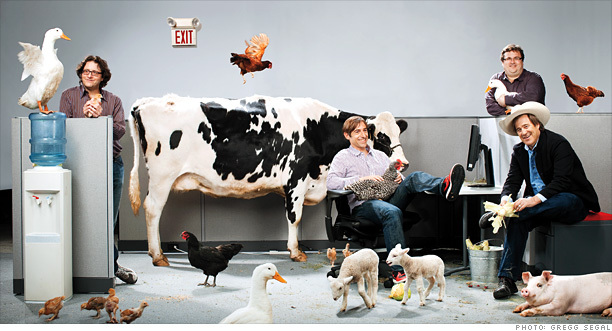 In the picture, you can see animals depicted in the FarmVille game shown with Brad Feld, managing director, Foundry Group; Mark Pincus, founder and CEO, Zynga; Reid Hoffman, founder, LinkedIn, and partner, Greylock Partners; Bing Gordon, partner, Kleiner Perkins Caufield & Byers. These guys are the board members of Zynga – the company that makes the popular (and/or annoying) game Farmville. Raghuvansh kindly pointed out that the image name was a give away if you had tried to save it to your hard drive. Kapatchoco and Anantha also get it right. QFI 557- Location is everything! Where was this song filmed ? The director makes a cameo as well! 1) The building and how it got its commonly used name? 2) One of the most popular slang / fad expressions to appear in the U.S during the Roaring 20s derived its name from the area around the building. What was that phrase? Answer: idlichutney, kaptchoco, chotavakil, raji, thats and dandilsa all get it right. It’s the FlatIron Building in NYC named because the triangular lot it was built on that resembled, well, a flat iron. The fad phrase in question is 23Skidoo, which refers to getting out while the going’s good. 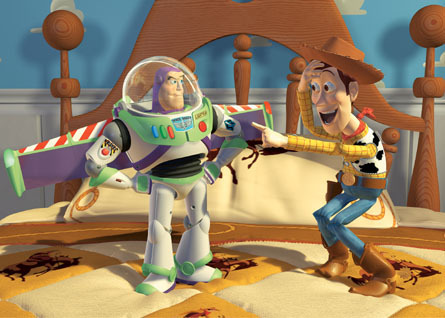 Answer: Only kapatchoco gets it right – they were the inspiration for the character / names Woody and Buzz from Toy Story. 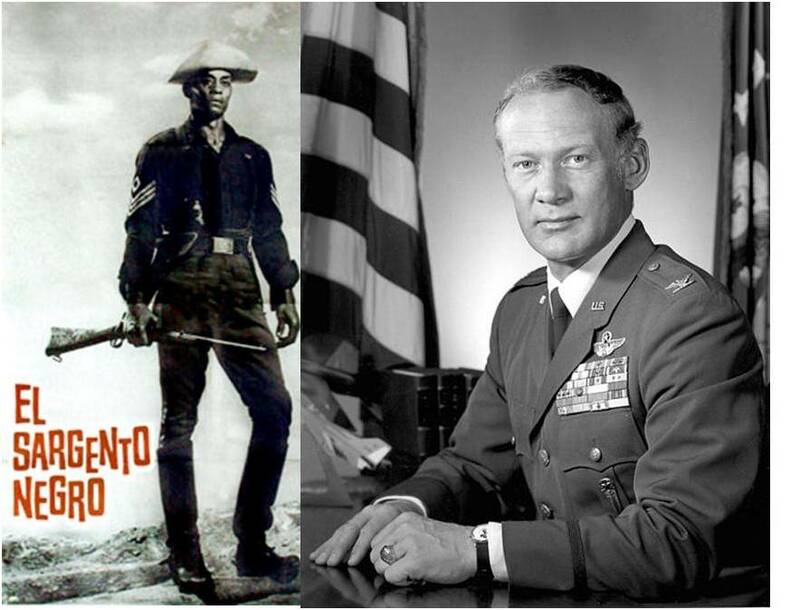 The cowboy on the left is an actor called Woody Strobe and the gent on the right is Col Buzz Aldrin. Answer: Sumant, Raghuvansh, Siddarth and Kaptchoo score a touchdown each for pointing out that the Speed Limit at OleMiss was set to 18mph to honor Archie Manning! Ok, not quite the Edith Piaf version. Who wrote this very popular song, rendered here by the divine M.S. Answer: I cannot find any faults with those who answered Rajaji and got it right. Here is a special article in The Hindu by Gopal Gandhi that explains Rajaji’s unknown collaborator on that song. 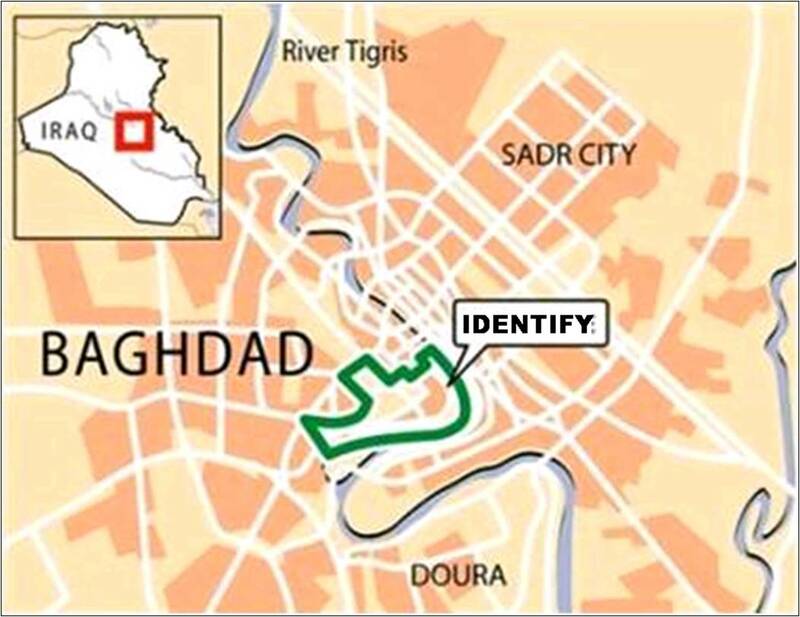 Answer: Many of you zoned in on the right answer Green Zone or International Zone – the commonly used term to denote the center of international presence in Baghdad. In the news because of the Matt Damon movie, inspired by Rajeev Chandrashekaran’s Imperial Life in the Emerald City.